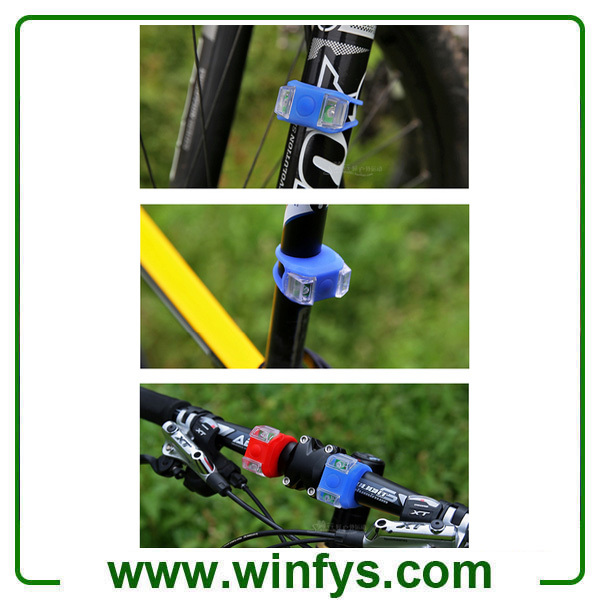 The led bike light can be mounted on handlebar, seatpost, helmet, wheel, hub, etc. 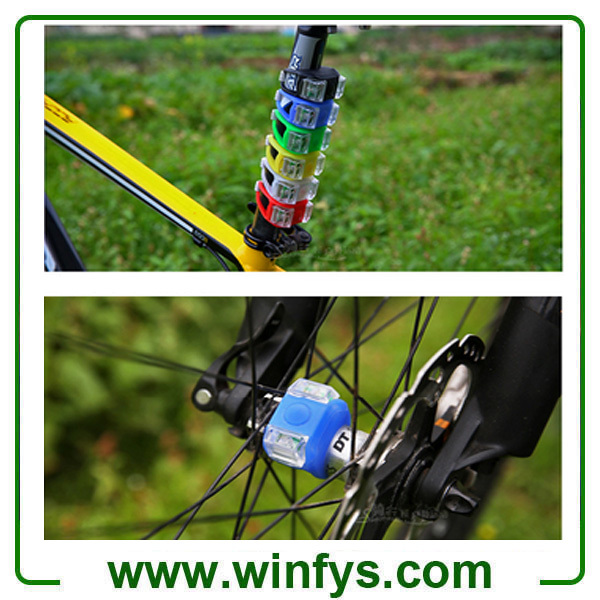 Easy wrapping around bicycle, directly installed the groove meiguanon the wire. 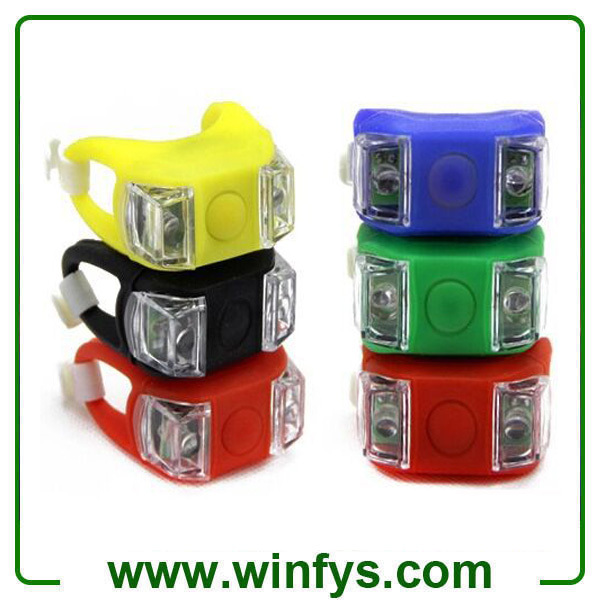 The Led bicycle light is streamline design, fashionable and attractive. Six generations of the frog lamp Mountain bike warning light Bicycle tail lights. 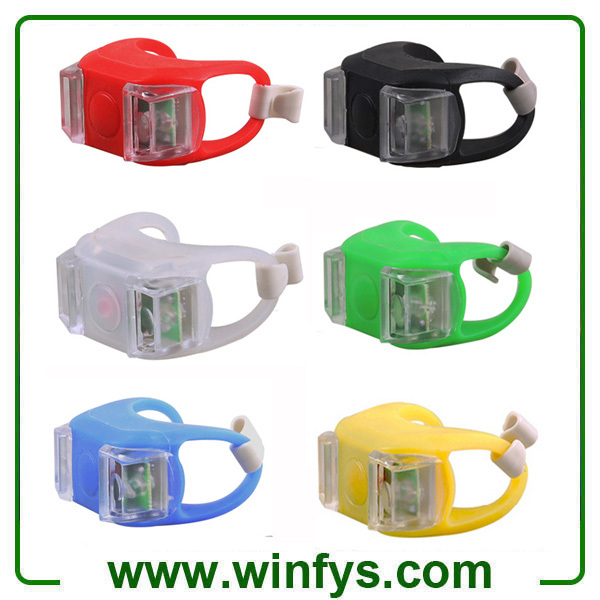 High-elasticity waterproof silicone material, stronger and durable. Cold and heat resistant silicone material, whether -40 degrees or +220 degrees centigrade. 2 highlight LED bulbs,switch design in the middle of the lamp. Double-hung buckle design, free hanging. 1. 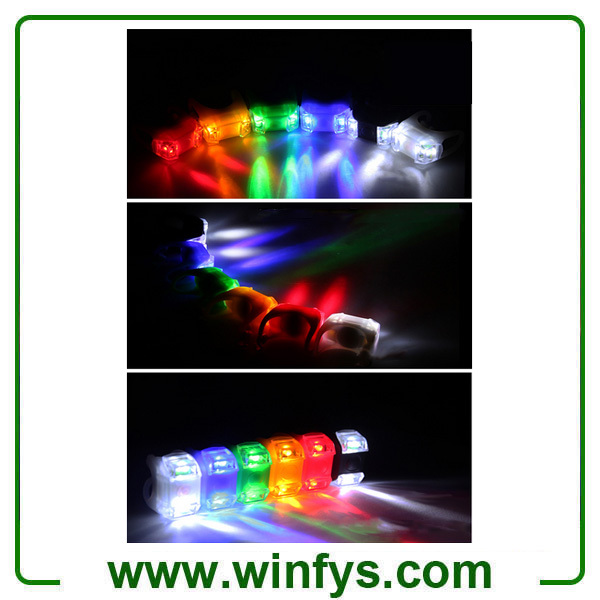 Silicon material can bear cold and heat resistant, No matter the temperature is -40 degrees or 220 degrees in high temperature, still can be used. 2. Products outer are coated high elastic waterproof silica gel, durable, strong extend. 4 vertical tube, the fork after, the fork, backpack, helmet in the finest use. 5. Fixed in safety helmet front or Fixed in the rear- as warning lights. 6. Steady - sustainable use for about 35 hours. 7. Flashing - Sustainable use for about 160 hours. 8. Waterproof design, so it is not afraid of water. 9. Warning effective as high as 600 meters or more visibility. 10. One-Touch switch design, easy operation. 11. 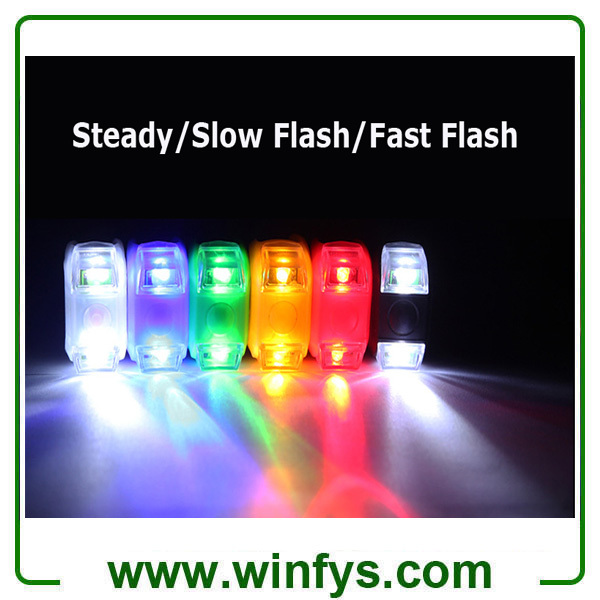 Three kinds of switching mode: Steady, Fast Flash, Flash Slow. 14. Product Packing: Blister Card Retail Packaging Box(one packing box includes 2 pcs). 1. Do not look directly to the light, because it may damage you eyes. 2. Do not turn on/off light while riding bike.